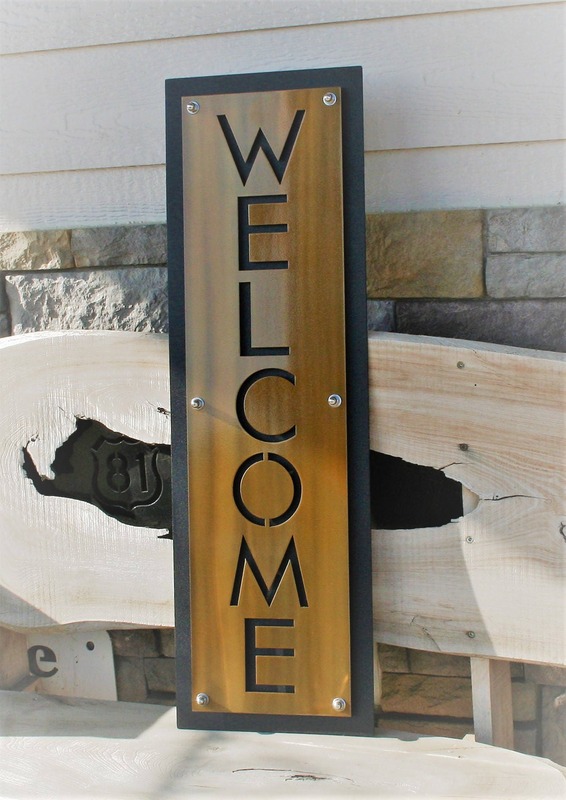 Vertical gold and black WELCOME sign is highly visible and a beautiful addition to your front door! 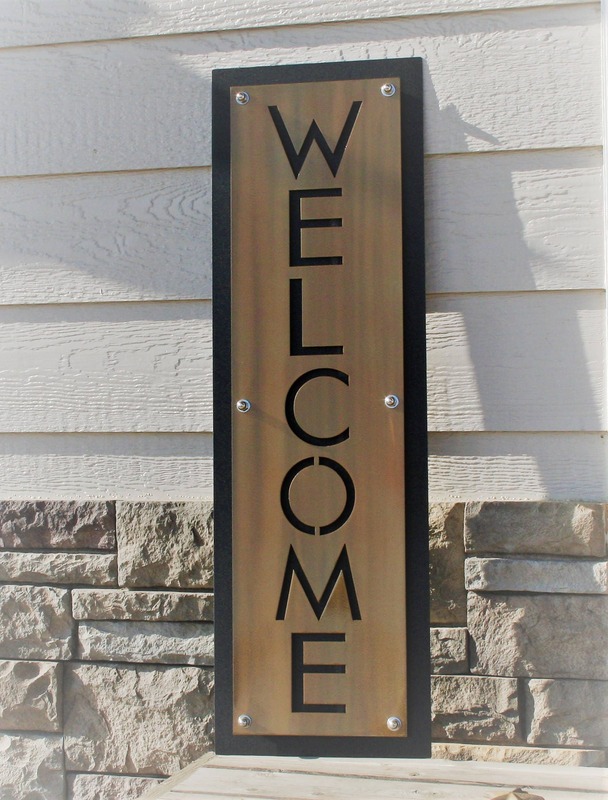 This beautiful outdoor sign is a lifetime product! 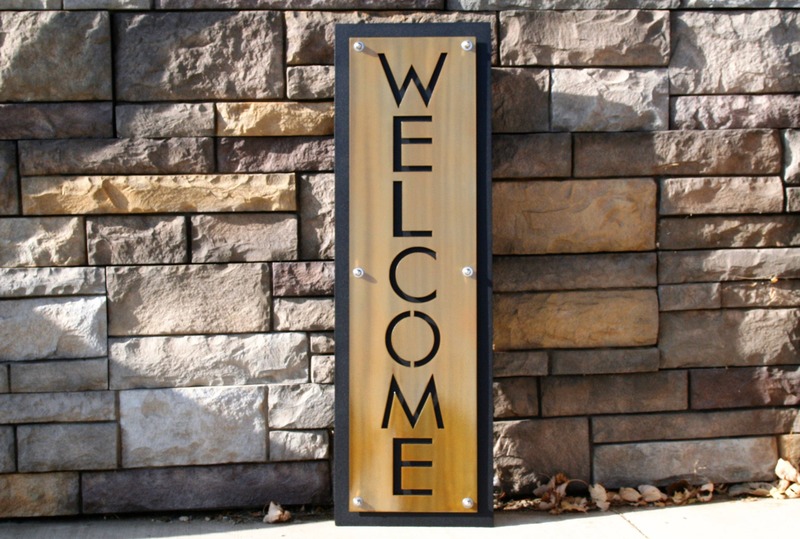 The welcome plate is cut out of stainless steel for a rust-proof finish. 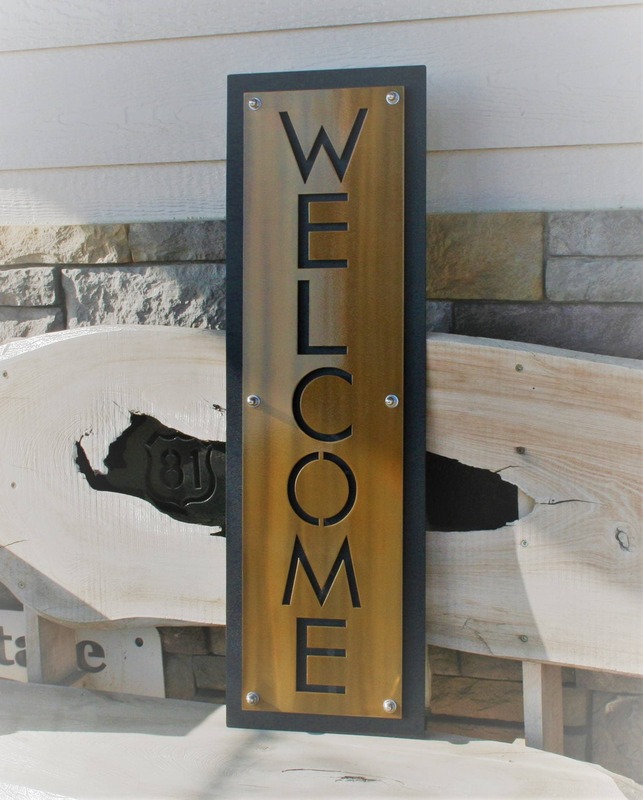 It's coated with a translucent gold powder coat for a beautiful finish! The black backing plate is coated with durable powder coat for a long-lasting product indoors or out. You can choose if you would like matte finish or glossy black. 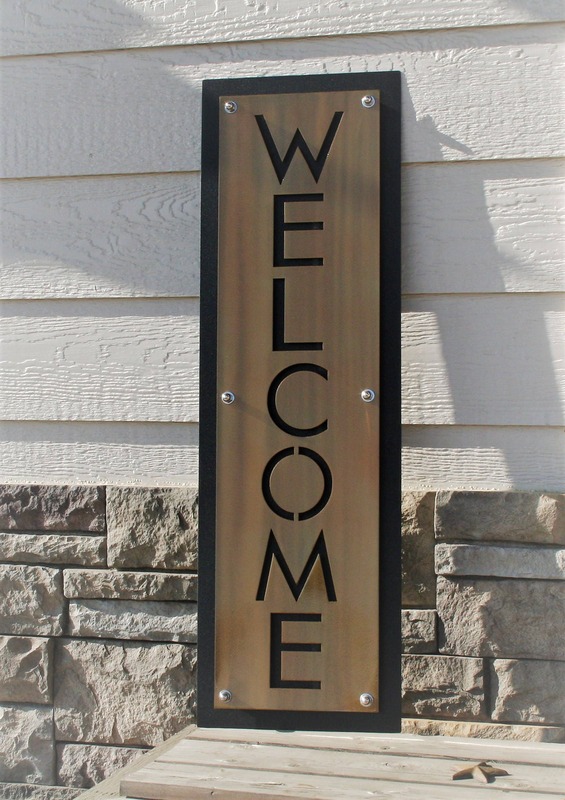 Sign is 32" tall and 10" wide.